"I respect my clients styles and ideas. If you have a vision I will help you make it happen. If you don’t, we will find it together!" Jenni is a certified, award winning, Interior Decorator (CDecA) in Kitchener, ON with over 10 years of experience in interior decoration, and she truly loves what she does. The decorating journey began as a hobby for me, helping friends and family with colour choices and space planning, and it was the catalyst that led to a life changing decision to attend and graduate from the Conestoga College Interior Decorating program. I worked with Benjamin Moore as a decorator/colour consultant for many years, as well as a custom drapery outlet and a flooring and surface supplier. My keen eye for colour, and the ability to envision a space has provided me with an array of opportunities within the industry and what has contributed to my success. Winning the Platinum Reader's Select award from the Kitchener Record for Interior Decorating was both a surprise and very much an honour, between this and on-going referral and repeat clientele I have been blessed with a steadily building business. Through continuing education and personal growth, I pride myself on the ability to be on top of current trends and requirements. 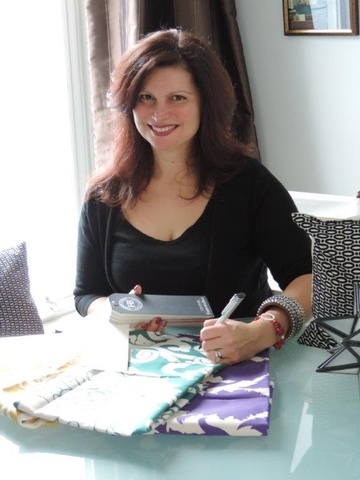 I specialize in window coverings, colour consulting, surfaces, space planning, staging and accessories. Some of my favourite aspects of design are being able to work with individuals, to create an environment that is personalized and unique to their style while keeping the age and style of their home in mind. I also enjoy dealing with window treatments, as they provide the cornerstone of one’s style and personality. The enthusiasm I bring to the job far exceeds anything I could demonstrate in a written description of myself. I take care of all of the clients who have decorating needs. If you have a vision, I will make it happen. If you don't, I will help you find it! Contact the experienced interior decorators at Jenni Does Designs for all your interior decoration needs across Cambridge, Kitchener, Guelph, Waterloo and the surrounding areas.